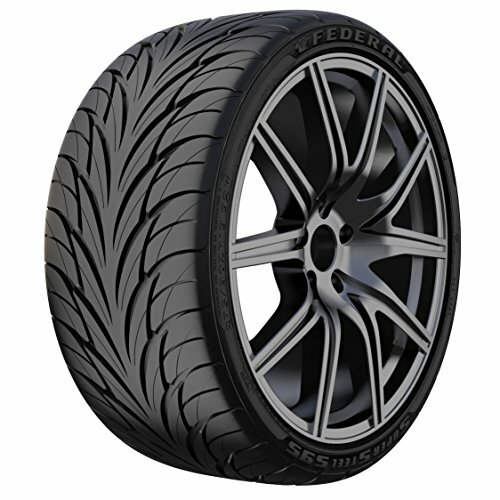 Federal SS595 is a Drift Competition tire. Federal SS595's extremely successful UHP, the former ss595, has been repositioned and renamed simply as the Federal SS595. Slight technical changes have been made by FTC to the tire to suit the purposes and take the abuse of drifting competition. Combat-bred. Performance-driven. For those requiring flat-out performance, no other tire grips like the Federal SS595, yet still provides for the basic comforts of everyday driving. Federal SS595 aggressive V-shaped tread and innovative silica compound maximizes level of adhesion, resistance to aquaplaning, and gives your car ultimate control in acceleration, cornering and braking. Unparalleled comfort in its class. FEATURES Our latest tire technology, TTIC, for smoothness, speed, and safety M.P.O. (Magnified Performance Optimization) technology for consistent performance throughout the tire's life Three Radius Tread Arc delivers even pressure across the contact area Flange Protector protects expensive rims from potholes and curb damage Steel Sidewall and Belts for optimum performance in all temperatures Opti-Noise Technology for a quiet, comfortable ride Aggressive uni-directional tread pattern enhances high speed stability and traction Unique shoulder block design for predictable handling in different driving conditions. If you have any questions about this product by Federal, contact us by completing and submitting the form below. If you are looking for a specif part number, please include it with your message.